March | 2010 | Where is Yvette? 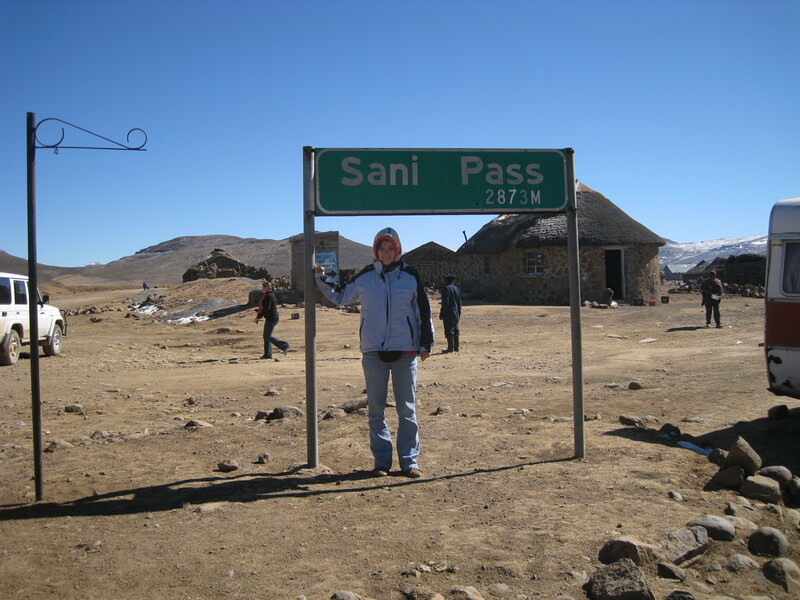 You are required to go up with a 4×4 vehicle (and, if you’re smart, a guide who knows how to drive well) because South Africa just plain won’t let you through the border patrol if you don’t have such ability to go up. 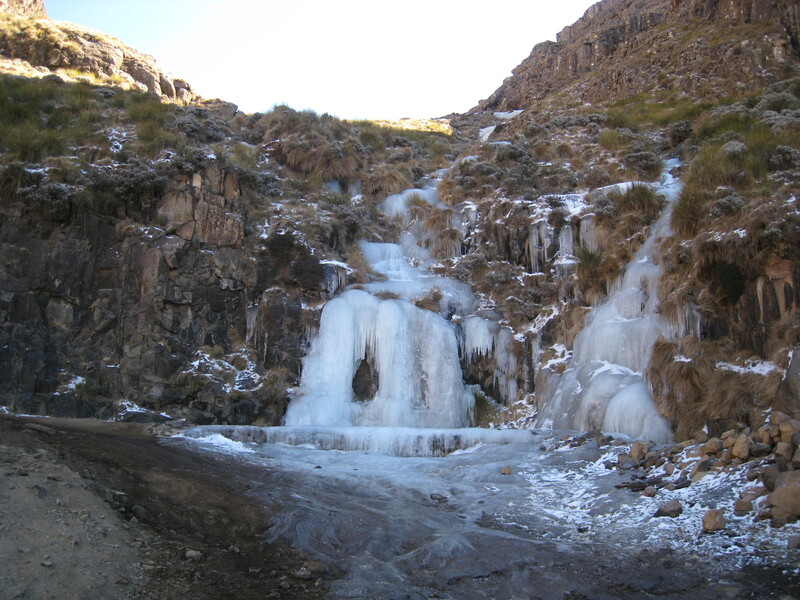 There is some talk of paving the road actually and this is probably the first place I’ve been where the locals are dead-set against it: a few fatal falls occur each year as is, so who knows how unsafe the road will be when most vehicles are equipped to travel it? There was a stupid American girl sitting next to me and annoyed everyone on the trip who at this point said she was glad her seat belt was fastened, and was not amused by me pointing out that actually, you want to be ready to jump out as quickly as possible should the ice prove too much. 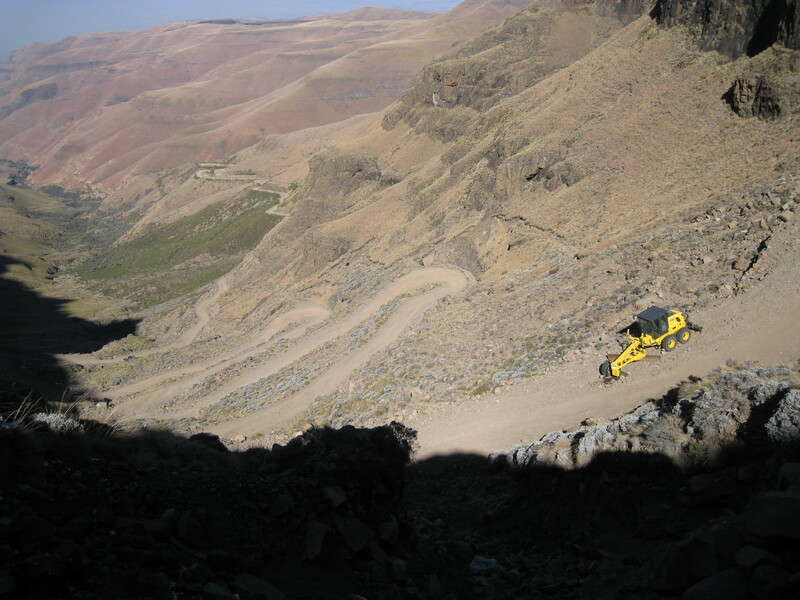 (Because this is why we travel- to consider how best to jump out of a sliding vehicle on a winding dirt pass in Africa.) 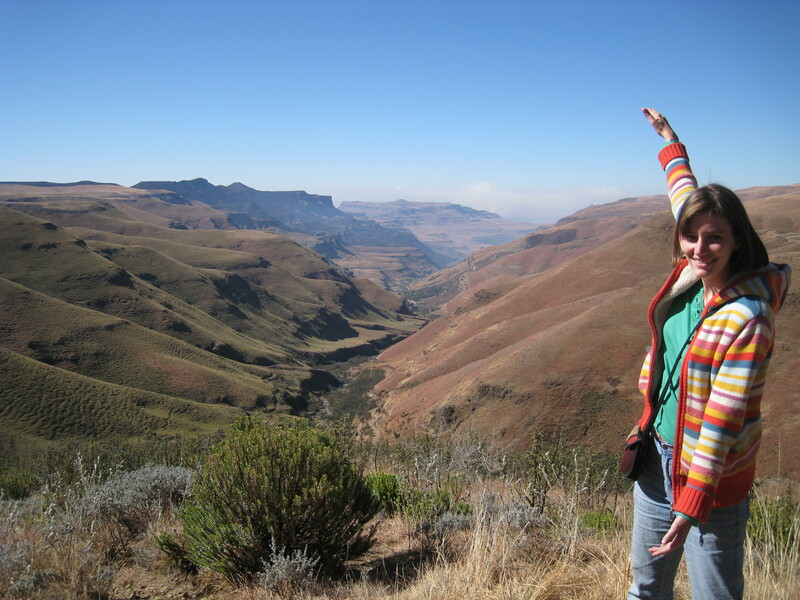 But luckily we made it up on try number three, thus quelling much apprehension in the car at the time. 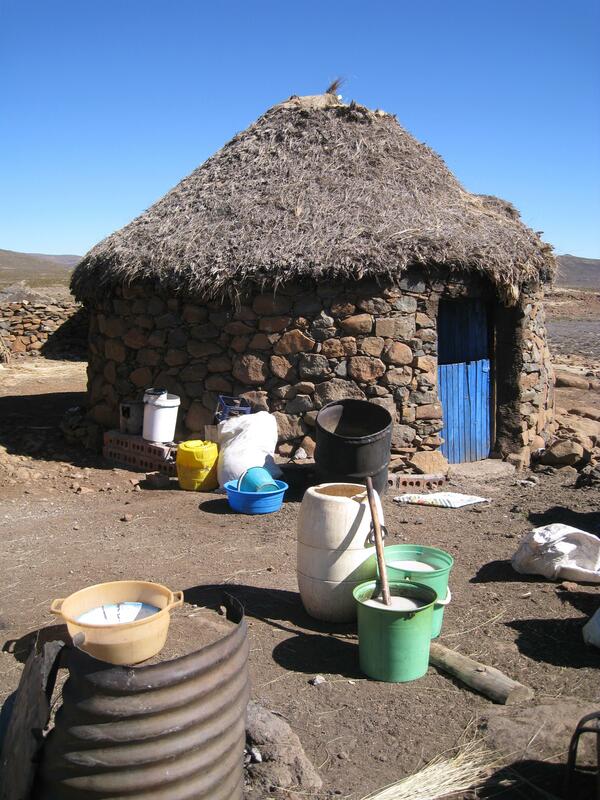 The typical house in Lesotho- there isn’t much, and about 40% of the people live on less than a dollar a day (traditionally the tribal people here were herders). What I thought was interesting was how the houses were of the exact same construction method as the rondavels at the bottom of the pass, but made of stone because you use what you have, right? 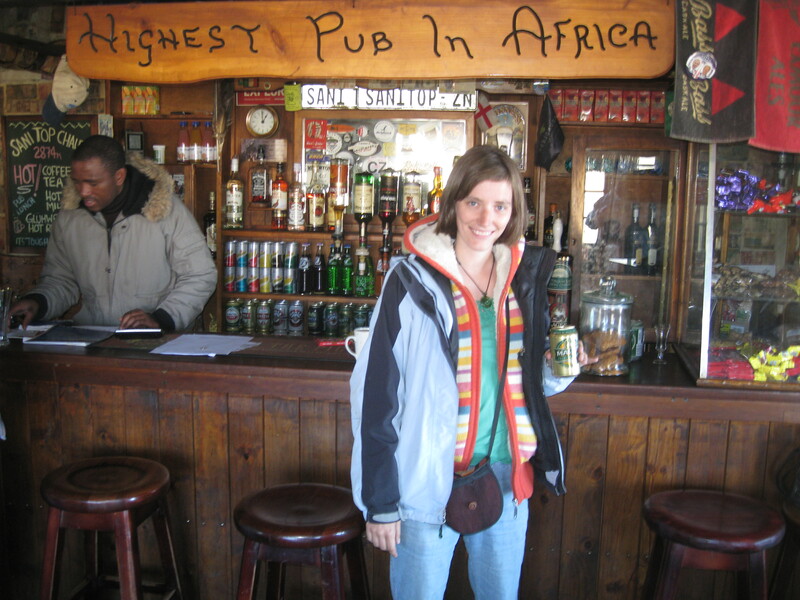 Last but not least woohoo, a bit of liquid courage for going down the Sani Pass at the highest pub in Africa! (The only mountains of comparable height on the continent is up at Mount Kilimanjaro, and not like they’re building a pub there.) 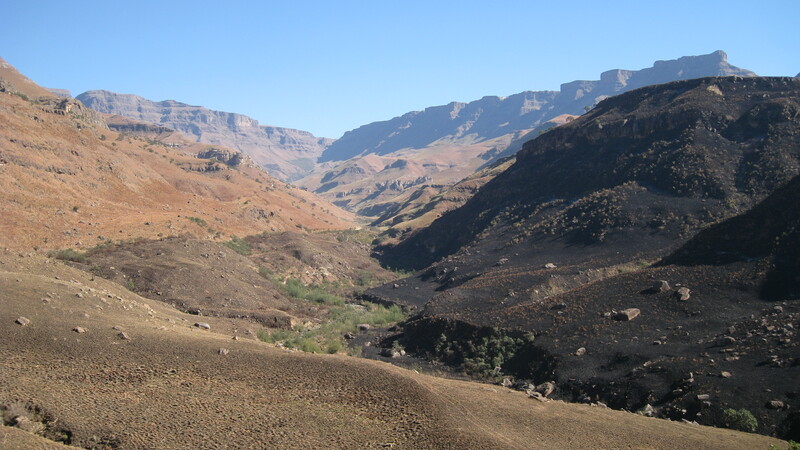 Now I hate to say it but the Lesotho beer I tried was pretty crappy, in case the can wasn’t a good hint in that regard, but the pub had a great view down the Sani Pass which we needless to say survived else you wouldn’t be reading this. Cheers!